This is a list of Star Trek books written by Paula M. Block, and Terry J. Erdmann. Both authors have written a few Star Trek titles on their own, but the majority of their Star Trek credits have been shared efforts from the married couple. They are best known for the many behind-the-scenes books they have written, but their other credits include other types of non-fiction books, and a few fiction stories. Notes: This is a TOS short story written by Block only, it was included in the anthology Strange New Worlds, the first book published containing stories from what would become the long running Strange New Worlds writing competition. Block was also one of the editors of the anthology, and indeed continued in that capacity for all ten books in the series. 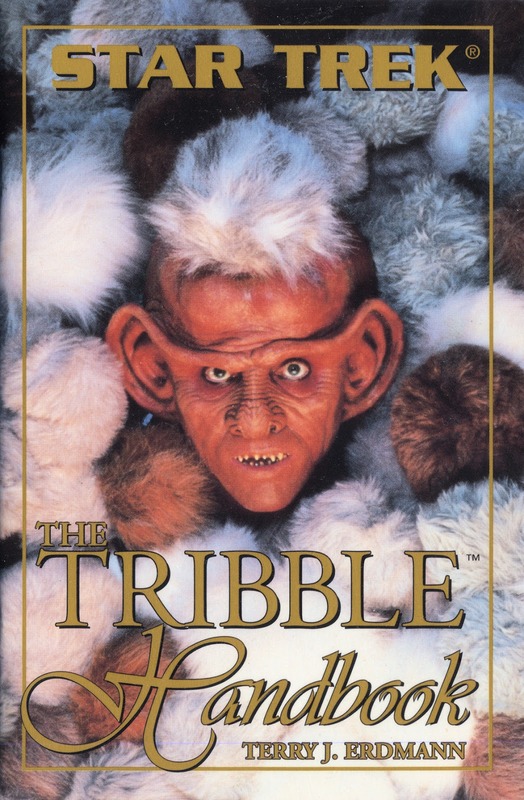 Notes: A light-hearted guide to tribble care, written by Erdmann alone. 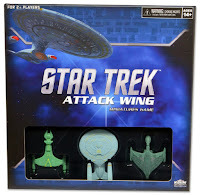 Star Trek: Attack Wing is a miniatures game from Wizkids, featuring small-scale models of ships from a huge variety of species and all the prime-timeline Star Trek series. Since its initial launch in 2013, the game has seen regular additions, in the form of single-ship expansion packs, which include the model ship, and a selection of cards which when used in game-play allow you to change your crew and ship-functions. 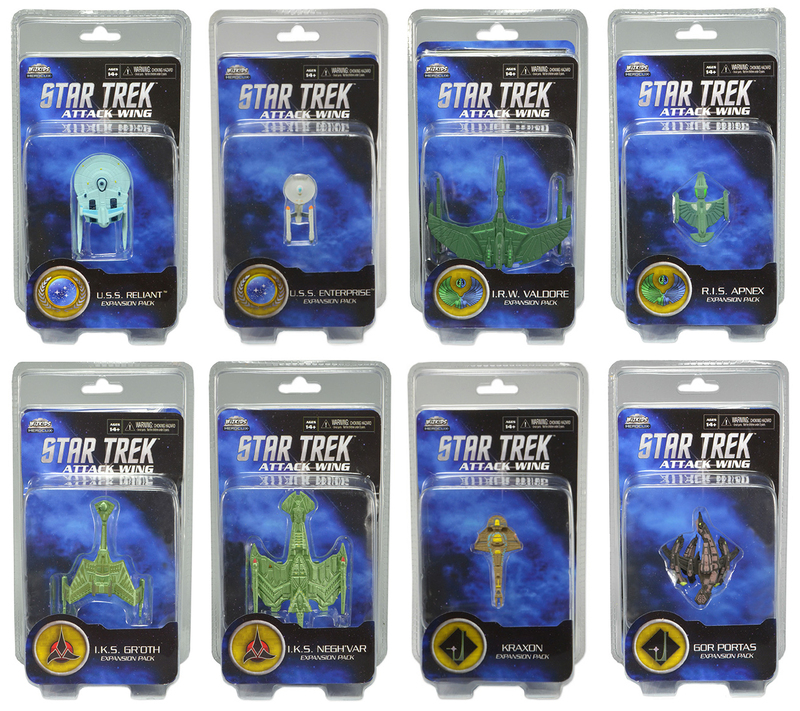 The first starter set was released in August 2013, featuring three ships. Simultaneously the first eight individual ship expansions were released. Further waves of four ships came periodically thereafter. As of wave five, there were three ships released in each wave, but the release rate was upped, with new releases almost every month. Additionally there have so far been three much larger miniatures of larger-sized ships/stations. 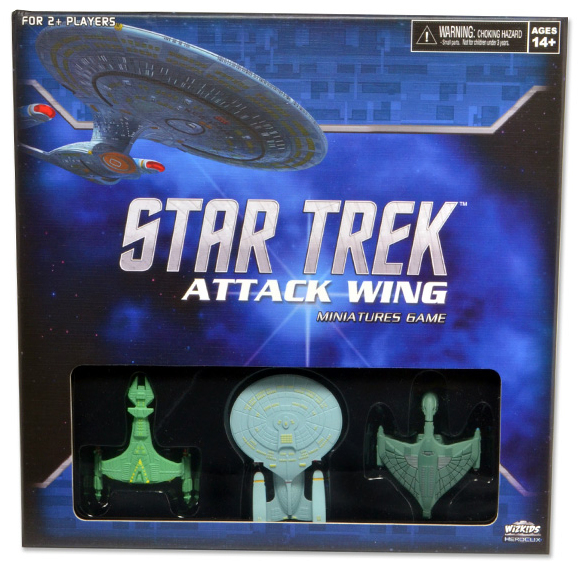 Some of the Attack Wing miniatures are based on earlier Wizkids releases: Unpainted versions of some of the ships previously appeared in the Fleet Captains game, and similar pre-painted versions appeared in Tactics - Unlike the Tactics versions of the ships, the Attack Wing ships do not feature ship names printed on them. 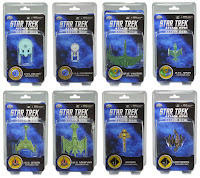 As the series has continued, the ships featured are increasingly new molds; indeed with the large number of ships featured, several of the models have been the first ever official models of some ship designs. Supporting the game are regular organised play events, where retailers can buy in kits, including prizes, featuring various themed scenarios. Often the prizes at these events see the debut of models, which will later get full retail releases. This page lists all the ships so far released (at retail) in the game. Federation USS Enterprise-D, Galaxy class. Romulan IRW Khazara, D’deridex class warbird. Klingon IKS Maht-H’a, Vor’cha class. Notes: In additional to the usual assortment of cards that comes with each ship, the starter set includes the rule book, maneuver templates, and everything else you need to play the game. Federation USS Reliant, Miranda class. Federation USS Enterprise, Constitution class. Romulan IRW Valdore, Valdore class. Romulan science vessel RIS Apnex. Klingon IKS Gr'oth, D7 class. Klingon IKS Negh’var, Negh'Var class. Notes: Released simultaneously with the starter set. Gor Portas: Amazon.com, Entertainment Earth. 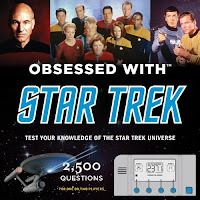 Becker and Mayer is a book design company, which, partnering with a variety of different publishers, has produced several Star Trek non-fiction, in-universe, and novelty books. Becker and Mayer titles are notable for their use of innovative formats and high quality production. Format: Quiz game book with electronic quiz functions. Part of a long running series of Obsessed With... books covering many subjects. Purchase: Amazon.com, Amazon.co.uk, Amazon.ca, Amazon.de, Amazon.fr, Amazon.es, Amazon.it, Forbidden Planet. 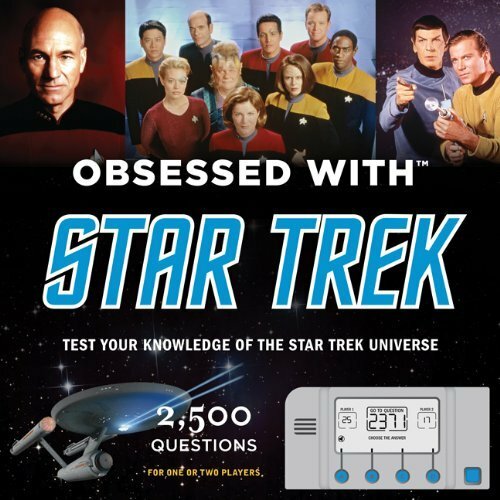 Format: History of the Star Trek franchise, including coverage of Star Trek memorabilia and tie-in products. Comes with reproductions of several artifacts. 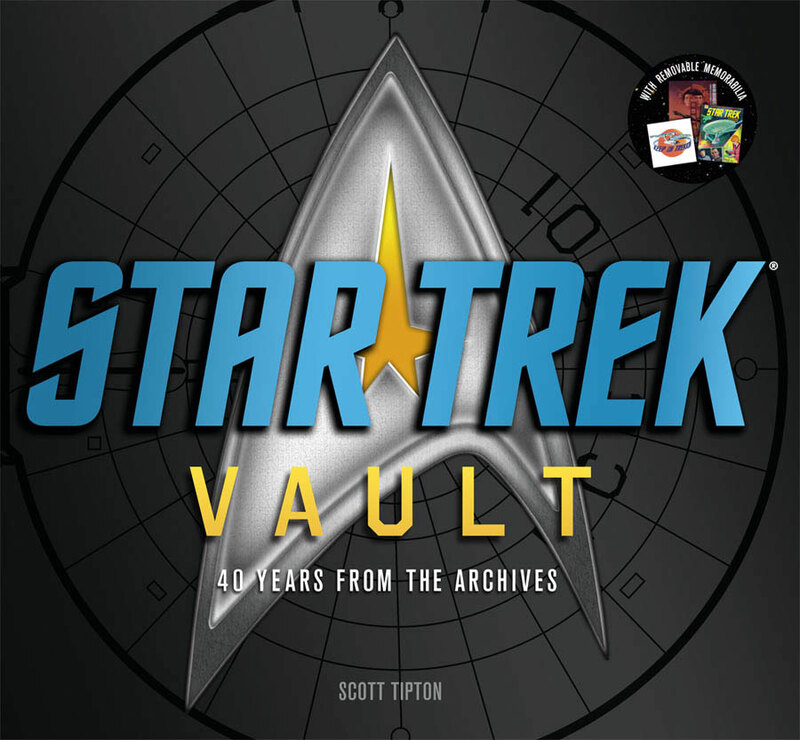 Part of a wider series of Vault books in the same format. Variations: The UK edition comes in a slipcase. 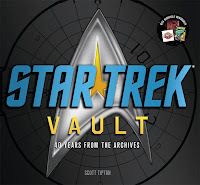 The German edition is titled Star Trek Archive: 40 Jahre Sci-Fi-Kult. Published: October 2011 (English), May 2013 (German). Publisher: Abrams Books (US), Aurum Press (UK), Panini (Germany). Purchase: Amazon.com, Amazon.co.uk, Amazon.ca, Amazon.de, Amazon.fr, Amazon.es, Amazon.it. 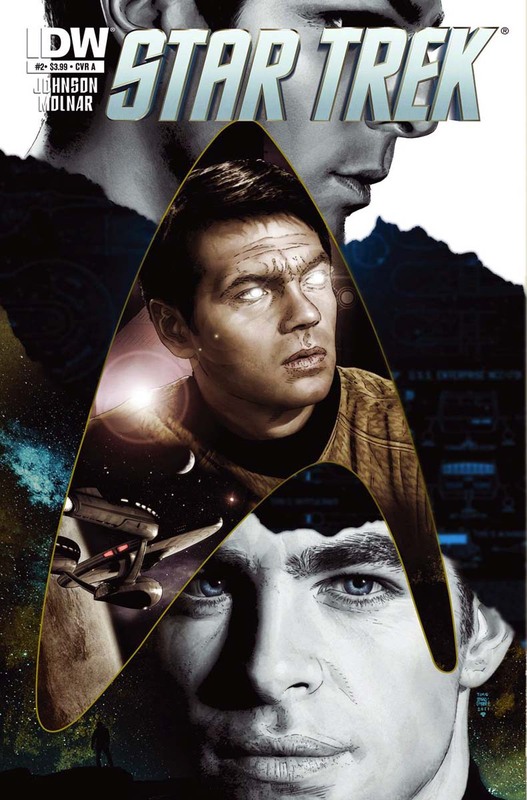 IDW's Star Trek ongoing series is a series of Kelvin timeline comics, the first stories from the new timeline of the 2009 Star Trek movie set after the events of the film. 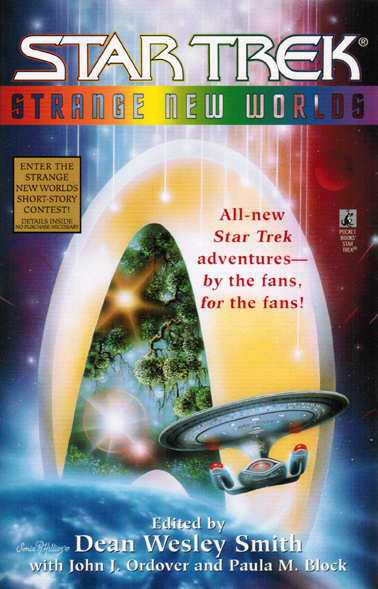 The series began in 2011, and was the first continuous Star Trek comic series from the publisher (as opposed to the miniseries that made up all their previous Star Trek titles). The series eventually ran for sixty issues, concluding in 2016, by which time it had become the fourth longest running Star Trek comic series ever. The series began with two-part reinterpretations of TOS episodes, and gradually introduced more entirely original stories as the series progressed. It has also had several flash-back issues filling in some of the back-story of the nuTrek characters. Several stories from the series also included crossovers with other Star Trek series, directly or in flashback, introducing elements of DS9, TOS, and TNG. As the series continued the format has varied more, with stories of different lengths, ranging from one to six issues long. The series was written almost entirely by Mike Johnson, with Ryan Parrott contributing the only two issues not written by him. Numerous artists have worked on the series, with Tony Shasteen the most prolific, having illustrated most issues since issue thirty-five. The first twenty issues of the series were set between the first nuTrek film and Into Darkness (or flashbacks to earlier), issue twenty-one picked up events following Into Darkness. From issue forty-two to fifty-two the series was given a subtitle, 5 Year Mission, reflecting the mission the Enterprise had embarked upon. The series ended to coincide with the release of the movie Star Trek Beyond in 2016. 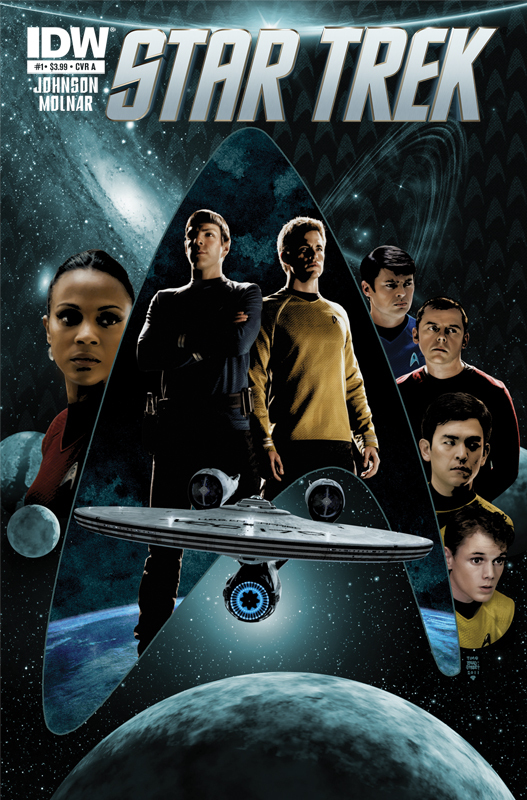 A new ongoing series, Boldly Go, from the same creative team, launched later the same year, continuing the Kelvin timeline story after the events of the film. Notes: First half of a two-part nuTrek version of the classic episode Where No Man Has Gone Before. Writer: Mike Johnson. Artist: Stephen Molnar. Notes: Second half of a two-part nuTrek version of the classic episode Where No Man Has Gone Before. 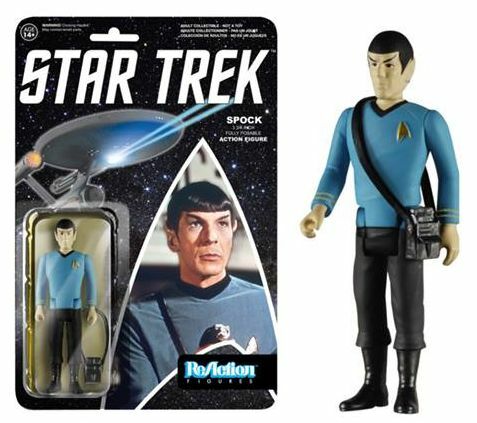 Starting in 2007, Diamond Select Toys launched a line of action figures based on those produced by Mego in the 1970s. The "retro cloth" range is a mix of faithful reproductions of the classic figures, updated versions of some characters, and brand new characters not originally included in the line. Typically the series was released in waves of two characters, featuring a Starfleet character with an alien. Almost all the characters are from TOS, with the exception of wave nine in the series, the only TNG characters in the range. The series had regular releases until 2012, totally twenty-one characters and a playset. 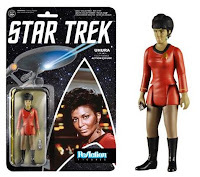 Notes: Wave 1 release, and a faithful reproduction of the original Mego figure. ReAction Figures are a range of three-and-three-quarter inch tall action figures produced by Funko, they are styled after the class Kenner action figures of the 1970s. 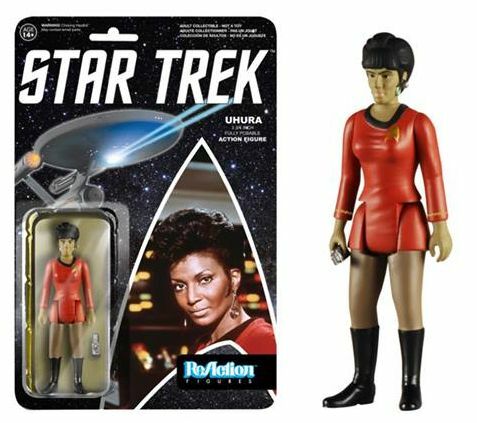 Funko have produced figures from many different TV and film series in this format, including a Star Trek range which begun in 2015, so far focusing on characters from The Original Series. Notes: Part of wave 1. Purchase: Amazon.com, Amazon.co.uk, Amazon.ca, Amazon.de, Amazon.fr, Amazon.it, Amazon.co.jp, Entertainment Earth. Welcome to Trek Collective Lists. 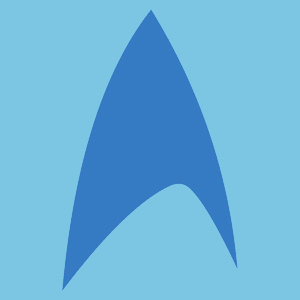 This site is reference resource of Star Trek lists, intended to provide context to articles on The Trek Collective. 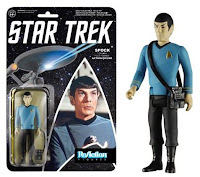 Here you will find lists of Star Trek books and comic series, author bibliographies, lists of Star Trek toys and homewares ranges, lists by theme, or the companies that make Star Trek products. All sorts of Star Trek lists! You will find links to index pages of all the different lists in the bar at the top of the page, as well as links to other useful resources on The Trek Collective, such as schedule pages and the reading order flow chart. This site is an expansion of my previous lists page, which linked to Amazon "listmania" lists I had compiled on various Star Trek subjects. Amazon have recently discontinued support for that feature, and it seemed to me a good opportunity to build upon a popular resource, and expand it beyond the limits of Amazon's catalogue and list format. This new list resource will allow me greater flexibility in formatting and presentation of the different lists, making an even more useful resource. While I am building up the replacement lists here, the Amazon lists are still available for reference, and are listed on the index pages, marked Amazon, so you can tell which are new lists here, and which will take you to Amazon. I hope the resource proves useful to anyone who has found their way here.